Career schools are different from other schools. First of all, they have the word “career” right in there. That’s because career schools effectively and quickly train students to perform in their chosen fields. This focus means no time is wasted on unnecessary classes. Once it’s time for graduation, students should feel prepared and confident to enter the job market—and the real world. For example, all of your classes at Medical Assistant School would be focused on the work Medical Assistants actually do. Topics such as business communication, computers, and basic medical practices all have real-world applications. Some career schools even help place you in externships to get real-life, hands-on experience. Externships are designed to better prepare you for potential jobs after graduation. Additionally, your externship supervisors can also serve as references to help you get those potential jobs after graduation! Medical Assistants can go by many names. Medical Assistant Schools can have many different program names as well. Medical Assistants are vital to the daily operations of doctor's offices, clinics, and hospitals. Each employer structures their business a little differently so duties can vary. 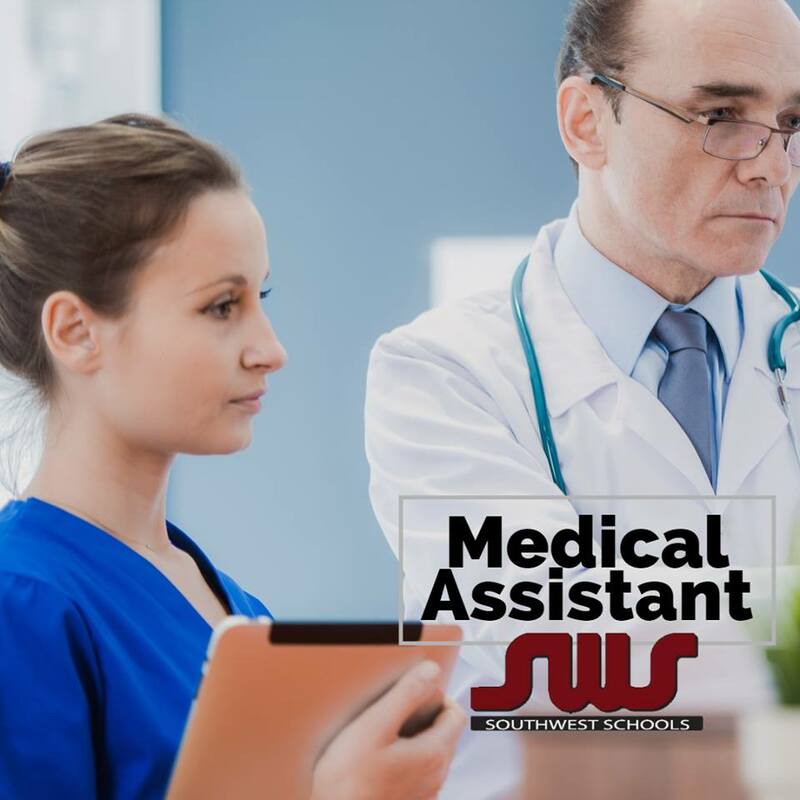 Medical Assistants typically do administrative tasks, oversee scheduling, and welcome patients. They also have patient interaction. Medical assistants often record vital signs and take patient medical history. They even can prepare and administer injections with physician instruction. Turns out, Bexar County is a great place to go to school—and eventually, work! In a recent report from the Bureau of Labor Statistics (BLS), Bexar Country has a lower unemployment rate than the national average. But wait, there’s more! The education and health services field is one of the biggest employing industries in Bexar County. The dozens of hospitals, healthcare offices, and medical clinics could all be potential employers. Also, according to BLS, the median national salary for medical assistants is more than $32,000. If you’re in Bexar County and considering starting Clinical/Medical Assistant School, check out Southwest Schools (SWS). We have a convenient location in San Antonio right off the Hwy 13 Loop. (SWS also has a campus in McAllen.) For more information, call 830-626-7007 or contact us online. We can answer questions, get started on your application, even discuss if you qualify for any financial aid. Let SWS help guide you into the real world as a Medical Assistant!